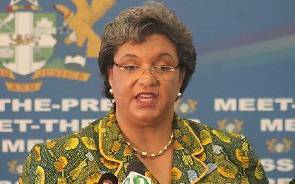 The Minister of Foreign Affairs, Hanna Tetteh has indicated that she is not under any form of pressure to back calls for the release of the Montie trio because other Ministers are doing so. According to her, she would continue to express her fierce disagreement with the sentence which she calls harsh ,but would not necessarily back calls for the President to release them. Ministers and other government appointees have signed a petition calling for the President to release the trio using his powers under Article 72 of the Constitution. “If this becomes a precedence so that going forward, everybody else who is seen to have spoken contemptuously of the court gets four months and above, well then I guess it is a principle that we can all accept,” she added. 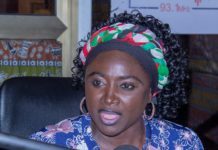 In a related development President John Dramani Mahama has presented to the Council of State petitions he received in respect of the incarceration of the three. 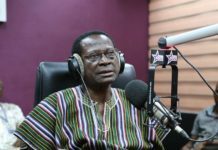 The petitions were received from lawyers of the jailed Montie Presenter, Salifu Maase, and his two guests, Ako Gunn and Alistair Nelson who have been jailed for four months by the Supreme Court, and a Civil Society Group, Research & Advocacy Platform. The presentation was done by the Chief of Staff Julius Debrah on behalf of the Mahama. Presenting the petitions to the Chairperson of the Council, Madam Cecilia Johnson, Mr. Debrah said the President is looking forward to the advice of the Council.